Rebirth is a word that describes how the Conscious Awareness of the brain of one’s physical body and the Mind of one’s Emotional Body can work in synchronicity so one can be rebirthed or reborn into energetic equanimity and emotional harmony. The key to a proper rebirth, is a special holistic type of forgiveness, as fully explained in our Forgiveness Beginners at home recording that contains a wealth of newly released ancient wisdom and a series of amazingly effective ancient and modern techniques. In order to retain the energetic equanimity and emotional harmony of a proper rebirth, one must make frequent transfers of karma to the Administrators of Karma using the ancient Karma Fire Ceremony in our Karma Beginners at home recording. We suggest that you use our Free Love Energy Technique for Activity as this simple and effective technique helps one remain in energetic equanimity and emotional harmony during stressful times like being late for an important appointment while being stuck waiting in a line or in traffic. In summary, being rebirthed or reborn is simple and anyone can do it, but remaining rebirthed or reborn is becoming more difficult in today’s Love Energy depressed hectic digital world. However, those who choose to attend our Love Energy Techniques Activator Class find it relatively easy to remain rebirthed and reborn as a result of daily personally experiencing the Unconditional Love Energies of Joy and Bliss during their Merkaba activations. We at Love Energy Centers use the term “Tunnels of Love” to describe how Sun of God level Conscious Awarenesses use Unconditional Love energies to instantaneously travel great distances by transcending time and space with groups of people. While science theorizes about traveling through their wormholes in space and Hollywood fantasizes about time space tunnels, at Love Energy Centers we have been personally experiencing traveling through our Tunnels of Love to distant locations since the 1990s. As explained in our Creation Beginners at home recording there are 12 dimensional levels in our universe. Those who attain and retain the 4th dimensional level of Conscious Awareness are described as Enlightened in our Attain Enlightenment at home seminar recording. Personally experience the energies of happiness and Joy by listening to our online Free Love Energy Tests. 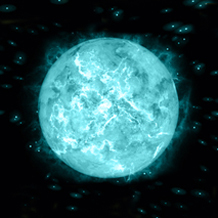 In addition, our Free Love Energy Technique for Activity enables one to release stress during, as well as after, difficult situations. As vividly explained in our Creation Beginners at home recording, the 3 highest dimensional levels in our 12 dimensional level universe, are the Suns of God. There are Solar Suns of God at the 10th dimensional level, Galactic Suns of God at the 11th dimensional level and Universal Suns of God at the 12th dimensional level. Fortunately, thanks to the ben Panther family records, we at Love Energy Centers are now explaining the true wisdom of the Ancient Ones in our Love Energy Techniques Classes. As explained in our Tunnels of Love article, there are Tunnels of Love throughout our universe enabling the Conscious Awarenesses of Suns of God to instantly travel great distances. It all begins with our Beginners Love Energy Techniques at home recordings where in the comfort of your home, at time of your choice, you will be able to hear the ancient wisdom and practice the techniques that will enable you to enjoy life in the present and prepare for a magnificent future. However, little is known about the Mind, but thanks to our unburned ancient family documents, we at Love Energy Centers are able to share with you the fact that the Human Mind is the central information processing unit of our permanent 4th dimensional Human Emotional Bodies. We know that the Human Mind contains the permanent records of all of the memories and emotional energies one has experienced, in every event, during each and every lifetime in a physical body. Our Mind is who we actually are. Who we are, is all of our memories, from all of our experiences in all of our incarnations. We at Love Energy Centers offer people a unique love oriented path in life that includes techniques that unleash the latent powers of the Human Mind resulting in multidimensional levels of Enlightenment. The first level of Enlightenment occurs when one uses Love Energies to unify one’s temporary 3rd dimensional brain with one’s permanent 4th dimensional Mind. Our Attain Enlightenment Beginners at home recording explains in great detail how one can consciously direct the 3rd dimensional Spiritual Energy Spheres of one’s brain to dance together as one with the 4th dimensional Spiritual Energy Spheres of one’s Mind, to attain the state of Conscious Awareness people call Enlightenment. Once one completes our Beginners Love Energy Techniques at home recordings one is ready to attend our Love Energy Techniques Activator Class where one learns how to use Love Energies to fill one’s physical body, so that the size of Conscious Awareness in one’s temporary physical body’s brain expands to include one’s permanent Emotional Body’s Mind. This expansion of Conscious Awareness releases the Unconditional Love Energies of 4th dimensional Joy into one’s brain enabling one’s 3D brain and 4D Mind to dance together as one, in the state of Conscious Awareness that people call Enlightenment. 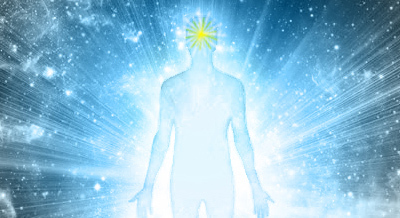 In our Activator Classes one learns how to use one’s Conscious Awareness in the state of Enlightenment to create a 5th dimensional Spiritual Energy Field of Consciousness so one may attain the state of Super Enlightenment where one’s expanded Conscious Awareness includes one’s 3D brain, one’s 4D Mind and one’s 5D Conscious Awareness Spiritual Energy Sphere. The state of Conscious Awareness called Super Enlightenment enables and empowers one to use the Unconditional Love Energies of 5th dimensional Bliss to activate 3rd/4th and 5th dimensional Merkabas and join our amazing Weekly Love Fests. But, if one doesn’t fully understand the concepts of Karma and reincarnation and chooses to allow their Conscious Awareness and brain to get angry, then one lives in the subnormal 2nd dimensional emotional energies of anger and regret. However, whenever one’s Conscious Awareness chooses to use love oriented spiritual, (not religious) techniques, mantras, chants, prayers, songs and/or dances, such love oriented actions enable one’s human 3rd dimensional physical body’s brain to unify and dance with the Mind of one’s Human 4th dimensional Emotional Body. Once one has energetically cleansed oneself of lower dimensional energies from one’s physical body and one’s Emotional Body one is able to enjoy living life within the super normal Angelic energies of 4th dimensional Joy that exist in the state of Conscious Awareness called Enlightenment. Ones’ permanent Emotional Body has been called by many names over the years by spiritually immature religions and scientific atheists. And so it is that today, due to the analogies of truth being written up in a fictional manner in the Bible, people have forgotten that one’s Guardian Angel spoken about by religions is one’s own 4th dimensional Emotional Body. All of one’s experiences from each of one’s incarnations in temporary 3rd dimensional physical bodies has been recorded in the Mind of one’s permanent 4th dimensional Emotional Body. One continues to reincarnate into human physical bodies until one attains and retains the permanent state of Conscious Awareness called Enlightenment. Then, as explained in our Attain Enlightenment Beginners at home recording, upon the natural death of an Enlightened One’s physical body, one’s Conscious Awareness and all memories of one’s current 3rd dimensional lifetime are transferred to one’s permanent 4th dimensional Emotional Body. Then, as an Ascended Master, one waits in the 4th dimensional level, the lowest of the 9 levels of heaven in this universe, until a critical mass number of Ascended Ones is attained. Then, it is at this moment in time, that the individual Conscious Awarenesses of a resident species, (like planet earth’s humanity), Ascend into individualized 5th dimensional Spiritual Energy Fields of Consciousness. 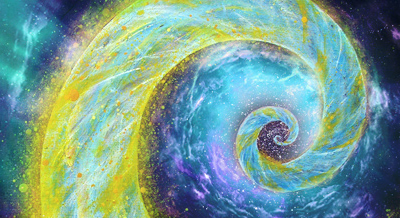 However, there is a super normal method of Ascension that is possible for Super Enlightened individuals whereby one transforms, or transmutes, a normal 3rd dimensional physical body’s atoms of Love-Light happiness energies into the Love-Love-Love-Light Blissful Energies of a 5th dimensional Spiritual Energy Field of Consciousness. This type of instantaneous Ascension is called a Physical Body Ascension. We at Love Energy Centers have been training for years and our Conscious Awarenesses are experienced in Physical Body Ascension techniques and procedures. In our Weekly Love Fests we meet using Skype and a teleconferencing center to consciously travel, as a group, within individual Conscious Awarenesses, (like in a Physical Body Ascension), through Tunnels of Love to a distant location where there is no pain, suffering or death. There are only Service to Others individual Conscious Awarenesses in the 7th to 12th dimensional levels of our universe. As fully described in our Creation recording there are Teraphim in the 7th to 9th dimensional levels of our universe and Suns of God in the 10th to 12 dimensional levels of our universe. Our Starfire Healer Class teaches participants how to work in energetic harmony with 7th dimensional Crystalline Teraphim to heal open minded people of their dis-eases and dis-comforts. Starfire Healers learn how to use Beyond Bliss and Unity Consciousness level Unconditional Love Energies to activate 6th and 7th dimensional Merkabas. Then, once participants are experienced in performing action within their 7th dimensional Merkabas, Starfire Healers Trainees are energetically “married” to 28 Starfire Teraphim in a special ceremony so they can work together in Unity Consciousness to heal people. Our Love Energy Techniques Adept Teacher Class teaches participants how to use Unity Consciousness and Sun of God level Unconditional Love Energies to activate 8th, 9th and 10th dimensional Merkabas, so they may fulfill their destiny and become Suns of God. The words of Spirit and Soul have been used by religions, philosophers and Hollywood movie makers to describe something so wondrous that normal people are unable to understand it and something so magnificent that many people, especially atheists, are unable to believe in because of misleading information given to them by others. 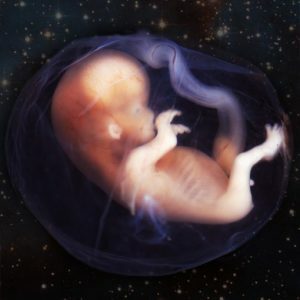 The fact is that your permanent Spirit or Soul entered your temporary physical body when as a baby you took your first breath outside of your mother’s womb. Your Spirit or Soul is part of your permanent Emotional Body, and is what connects your temporary 3rd dimensional physical body to your permanent 4th dimensional Emotional Body. All plants and animals on earth, including humans, have 3rd dimensional physical bodies capable of attaining the earthly 3rd dimensional emotional energies of happiness. But, only humans who have both a temporary 3rd dimensional physical body and a permanent 4th dimensional Emotional Body are able to attain the heavenly 4th dimensional emotional energies of Joy. When the Conscious Awareness of one’s 3rd dimensional physical body goes beyond the earthly emotional energies of happiness, one’s Conscious Awareness expands into one’s 4th dimensional Mind and experiences the heavenly emotional energies of Joy. Joy is supposed to be a normal human emotional energy, however as seen in people’s faces and in their actions, most people are living in today’s world in the subnormal human emotional energetic state of Conscious Awareness called unhappiness. In today’s world, people have forgotten what the normal 4th dimensional Unconditional Love energies of Joy feel like in a human physical body, and they are unable to comprehend what the 5th dimensional Unconditional Love energies of Bliss would feel like to someone in a human physical body. We recommend you listen to the unique sound combinations of Ga Ra and Za Ra contained in our online Free Love Energy Test and observe if happiness is able to flow easily within you and whether or not you have emotional energetic blockages that are preventing you from fully enjoying the energies of Joy. Our Beginners Love Energy Techniques at home recordings enable you to experience the Unconditional Love Energies of 4th dimensional Joy in the comfort of your own home, while also learning the Ancient One’s wisdom about how all energies in our universe are a dance between the energies of Unconditional Love and Unceasing Light. Participants in our Love Energy Techniques Activator Classes learn how to use the 4th dimensional energies of Joy to access the 5th dimensional energies of Bliss and activate 2 levels of Merkabas. And so it is that within the Human Spirit or Soul is a desire to fulfill one’s destiny and Ascend to the next level of existence in our universe in a normal Ascension using the energies of Joy, or in a super normal Physical Body Ascension using the energies of Bliss and Beyond Bliss. There are times when the body reacts instantly to an immediate threat of harm. These are times when there is no time to think, only react. People use the term instinct to describe the body’s instantaneous reaction in such situations. However, unknown to most people is the fact that there are three different types of instinct. Normal people have access to the two types of “normal instinct”. In the last year, science proved that an animal’s instincts are recorded in their DNA. While science is only now aware of, and has proven, memories in animals are stored in their DNA, science is now considering the possibility that humans also have memories stored in their DNA. However, we at Love Energy Centers have been using ancient wisdom from the ben Panther family records to explain and teach this concept to people for many years. We began teaching this concept because emotionally charged memories of one’s ancestors stored in one’s DNA is what causes phobias in people. In addition, emotionally charged memories of fear and anger in one’s DNA also hinder one’s enjoyment of life as well as decreasing the flows of Unconditional Love energies of Joy and Bliss that one uses to activate a Merkaba. 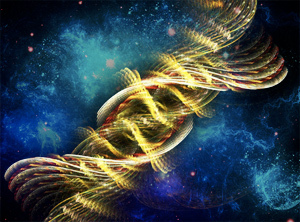 Accordingly, participants at our Love Energy Techniques Activator Class are taught how to cleanse emotionally charged energies of anger and fear that are deposited in the lowest 2 levels of one’s Spiritual Energy Centers with one’s own memories of this life and memories of one’s ancestors recorded in one’s DNA. 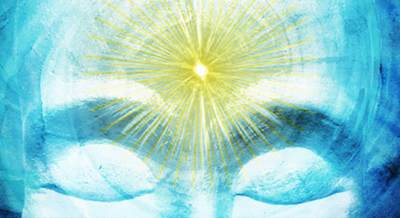 Once cleansed of the Love Energy blocking emotions of fear and anger, one is prepared to use the Mind of their permanent Emotional Body to work with the brain of their temporary physical body, to attain the state of Conscious Awareness called Enlightenment so one is be able to fully activate their Merkabas. In the state of Enlightenment one has access to all of their memories from all of their past lives that are stored in the Mind, of their 4th dimensional Emotional Body. And so it is that Enlightened Ones, as super normal people, have a 3rd type of instinct, the super normal ability to connect the memories stored in the 3rd dimensional physical body’s DNA with memories stored in the 4th dimensional Mind’s Emotional Body. And so it is that a unique situation occurs when memories in one’s physical body’s DNA match memories in one’s Emotional Body. We seek those of the 144,000 who came with us 10,000 years ago. The unique sound combinations used by Ga Ra and Za Ra in our Free Love Energy Tests are able to awaken memories in the physical bodies and the Emotional Bodies of the 144,000 so they may have an opportunity to fulfill their destiny.